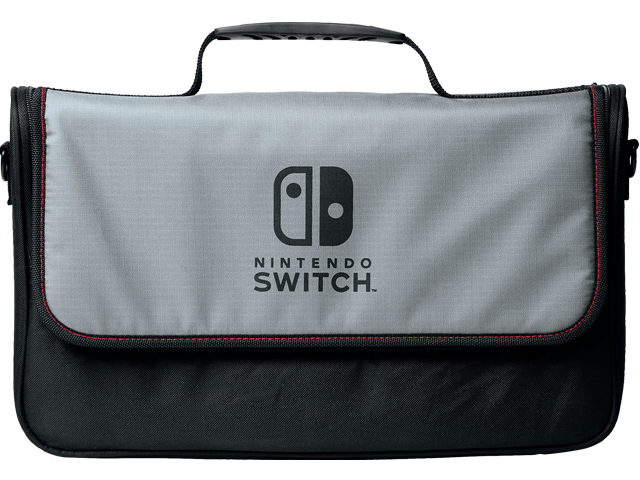 This Nintendo Switch™ Everywhere Messenger Bag stores the complete Nintendo Switch system for easy portability. The 2-in-1 design includes a removable internal case that carries Nintendo Switch console in handheld mode. Fitted compartments keep all components secure and the adjustable shoulder strap is padded for added comfort. Nintendo Switch console and other accessories not included.